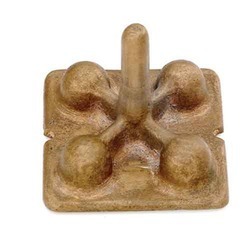 We are engaged in the business of manufacturing and supplying of best quality Cast Ground Plate. Known for offering lightening protection, it is highly popular in the market. Owing to its easy installation, resistance to corrosion and long lasting life, the whole range of earth plates offered by us is widely demanded among the client-base we have reaped so far. We are the manufacturer and exporter of Ground Support. Ground Support is used to hold the Timber Post, used in areas like Concrete Base or Hard Tops. We offer a wide & precision engineered range of Square Ground Plates. They are used where reinforcing bars are electrically continuous and are to be used as down conductors. We are a reputed entity in the industry, actively engaged in offering an optimum quality range of Ground Plate. - These plates are highly reckoned among our clients due to their rigid construction and durable nature. 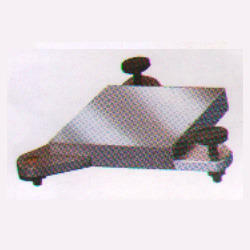 Siddhi Ground Plates have a wide utility in Presstools, Injection Moulding, Die Casting & Compression Dies. Siddhi Ground Plates can be tailor made as per customers specifications on request.